George Kosch, your personal Bootcamp Instructor welcomed all participants to the LIVE interactive home business bootcamp training session offered every Friday by Worldprofit. 1. Engaging with prospects on a personal level. What you need to know. 2. Offers. How offers increase sales. How Worldprofit has made it easy for you to make offers. 3. Follow up with your prospects. Why it matters so much. 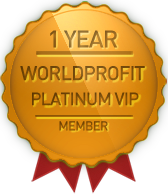 Worldprofit is now offering in limited supply, lead packages. We've been searching for some time now for a company or service that could provide our customers with quality leads. Real people interested in an Online business opportunity, MLM or other affiliate type money making program. Our criteria was high. Leads had to be REAL people who requested information on a home based business by filling out an online form in the last few days. They could not be harvested, recycled or fakes. We've finally found a source that provides what we insisted on and we could recommend to our members! So...we are now offering our members... 25 or 50 lead packages. In your Member area, click on Prospects on the top menu and follow the order link near the top. These are provided in limited supply to keep the qualify HIGH. BONUS Commissions for Monitors who Close Sales for our Members. We have decided to CONTINUE this CASH INCENTIVE Bonus for Monitors through the end of October. Monitors who close sales on their shift will get their Cash Bonuses added to their Commission Payout. If you would like to be trained as a Monitor, notify Dr. Lant when you see him in the Live Business Center. George concluded the training today by offering free upgrades at SEOOptimizerPro.com for a number of Members who attended today. 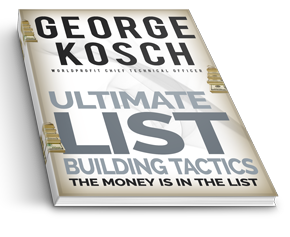 One more reason to attend the LIVE training, George likes to surprise people with freebies, and insider information. Next LIVE training session is Friday Oct 17, 2014.